You're no doubt familiar with the real-life parable of hubris known as the voyage of the Titanic. In short, we built a ship we thought was unsinkable, then it sunk. And then we all learned a valuable lesson about humility like Job and moved on with our lives. By which we mean, we're doing the exact same thing again. The Titanic II, which is really what it's called, is going to set sail in 2022, reports USA Today. And no this isn't viral marketing for a sequel to the James Cameron movie. This is a real thing that Blue Star Line is spending $500 million on and has been planning since 2012, when the project was first announced. It was held up for several years over a financial dispute, but is thankfully back on track to tempt fate in the near future. 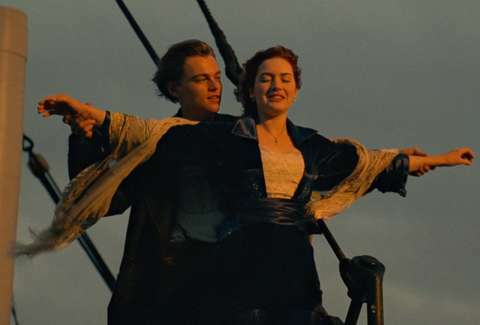 The Titanic II will reportedly have the same cabin layout as the one that was temporarily stored in Davy Jones' Locker, and will carry 2,400 passengers and 900 crew members, almost exactly the number as the original. On top of that, its maiden voyage will sail from Dubai to Southampton, England, then to New York, taking the same route as the original, which, after all, was so popular, and famously hit an iceberg on April 12, 1922. The trip will take two weeks. After that, it'll sail a number of global routes. Notably, it will feature modern-day navigation (and iceberg-avoiding) technology. While the first was built in Belfast, Northern Ireland, the new one will be built in China, so, you see, it's a whole different thing.